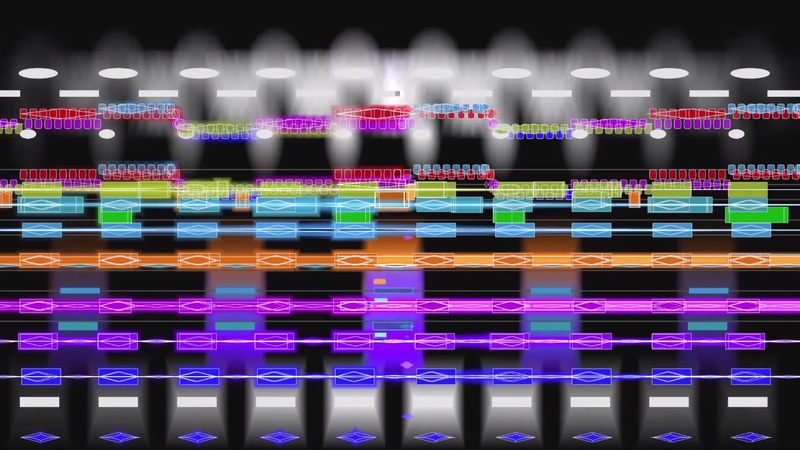 Is the Rite of Spring animation by Stephen Malinowski really a “Mind-Blowing Visualization” as stated by NPR? If the audio was taken away, would the visuals convey any information? Music educators, theorists, and the general public have errantly accepted Malinowski’s suggested color sound correlation theory without analysis or questioning. His theory does not convey the information he states that it does. He never defines his theoretical key circle by alphabet names or sharps and flats, and instead uses Roman Numerals. On his theoretical key circle, there is clearly a [Sharp V’] next to a [Flat III]. By all classical definition, that defines a Wolf Tone. It also means that the circle is not closed, which by definition means it is not a circle. In no way is it then a Circle of 5ths (Fifths). Malinowski’s claim is that he correlates the artist’s color circle to the Circle of 5ths. Clearly there is no Circle of 5ths, so what does he mean by the ARTISTS color circle? Most musicians, and certainly the general public do not have the background knowledge to evaluate what Malinowski is suggesting. Most individuals think ‘THE’ color circle exists as a scientific fact, as if there is ‘ONE’ accepted scientific color circle. Does he mean a subtractive or additive color circle? The word ARTIST, in respect to color, generally refers to those who use paint. Paint utilizes subtractive mixing and a subtractive color wheel. In no way is his color wheel anywhere close to any historically accepted 12 division subtractive color wheel. His color wheel also does not adhere to one of the accepted CIE additive color wheels or CIE color spaces defined by the opponency theory of color (Hurvich, 1957). His color wheel stands alone. It is arbitrary in so many ways. One serious flaw with his color wheel is that he has fully saturated colors next to highly desaturated colors which completely skews the perception of color by any scientific standard. If the video being discussed (The Rite of Spring) had been performed in an historical tuning which contained a Wolf Tone, it would have been a complete disaster and audiences would have cringed from the sounds they heard. They would have thought the performers to be amateurs who could not stay in tune. Is color any different? No. Malinowski’s color palette is so skewed, that if converted literally to pitches, it would be worse than any tuning which contained even 2 Wolf Tones. A composition using such a tuning would never be accepted as music. Tuning matters, as can be attested by the many arguments that music theorists have engaged in throughout history regarding this topic. 12 arbitrary pitch classes will never provide a sound palette which could be used for coherent music composition. The same is true of color. If color can be correlated to pitch, the correlation would not be arbitrary? It would have to be precisely equivalent in every way. The properties of hue, saturation, and brightness would all have to be equalized and applied equivalently to pitch. Even though Malinowski has admitted that his color wheel is skewed and has no scientific value, he continues to claim that his videos are capable of showing tonality to users. When Malinowski has been questioned in detail on this topic, he cannot actually defend his position. Therefore multiple claims that he is making have no basis in fact. Instead of making any correction to his color wheel or attempting to be scientific in his approach, Malinowski has purposefully distanced himself from science. When Malinowski has been questioned on his anti-science stance, he states that his videos should be considered as abstract animations for music, similar to how ballet and music combine aesthetically (not to be correlated literally by any scientific method).